Established in 2010, Diversified Track Works LLC is a privately held, minority-owned, certified small business headquartered in Geneseo, Illinois. 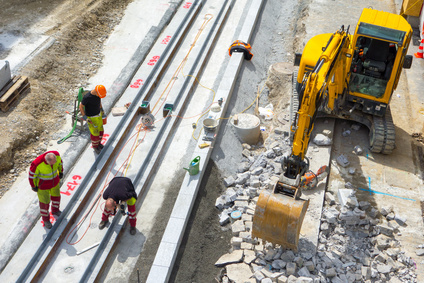 Our team of highly trained and experienced railroad professionals have over 100 years combined experience in railroad track construction, maintenance, safety and inspection. We are committed to delivering high quality work at fair prices. We are preparing descriptions for each of these services. Please check back later. Nic has over 20 years of experience in all phases of railroad construction. Over the past several years, he has been in charge of many large scale production crews; both tie gangs and joint elimination gangs. Nic has worked on a wide range of railroad tracks including class one, regional, short line and industrial track railroads. Jose has over 15 years of experience in railroad track construction and over 10 years experience in the excavation industry/heavy equipment operation. These two skill sets work well for him on our new construction projects as well as crossing and turnout renewals. Cristino has over 20 years of railroad field experience and is one of the industry’s best track equipment operator trainers. His ability to teach operators how to get the most production out of our machines while maintaining the highest and safest quality of work, is what helps keep our crews efficient and safeguarded. Vicente has over 20 years of experience in the railroad industry; specifically railroad turn-out maintenance and inspection and railroad construction. He is a versatile company leader who demands consistent, top quality work as well as a steady production pace for a wide variety of projects. Patrick has been a part of many different phases of the railroad construction industry for over 25 years. He has managed several different types of crews and projects and has been involved with uploading grain, coal and sand rail cars. Patrick’s strongest areas of expertise are the mechanical and maintenance-of-way departments. His skills help Diversified Track Works maintain a low average of down-time.